Weekly Update 2017-35: Riding a smooth wave of sound by Bonobo, crafting the perfect copy for error messages, and DIY food culture on Food Network's old show Food Jammers. Aka Simon Green, Bonobo is a musician/producer/DJ from England and based in Los Angeles. It's rare that I write about downtempo music because I usually like high-energy tunes, but I really do prefer softer beats when I'm focusing on high-brainpower work. Writing especially requires music without lyrics, that I can float on as I organize my thoughts. This definitely hits the mark. Migration, which came out earlier this year, features some really nice tracks like Bambro Koyo Ganda and Ontario. Bonobo graces the stage of Danforth Music Hall for the second and final show tonight. Finally, I have begun organizing and publishing my Arduino work. I do love to write and absorb my thoughts that way, so I'm sure new ideas will sprout from the formal journalling of my informal exploration of Arduino. I also had a lovely chat with Stefanie Fiore and Rondie Li of Crrumb, a digital creative agency in Toronto that really injects heart and soul into what they do. We talked about their journey (separately as well as becoming an awesome team), the importance of breakfast, and how the best projects rely on the collaboration between designer and client. This week, I'll be preparing for camping and enjoying the last drops of summer. I'd like to get out another Arduino post if possible, or at least get all the assets together to finish it after Labour Day when I come back from camping. I usually use a recipe that creates as little friction as possible and helps the user complete their task quickly. 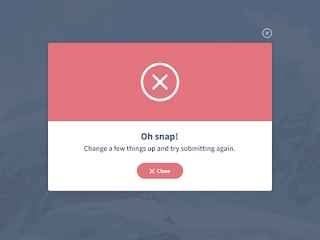 Tell the user why the error happened, so they know not to do the same thing again. Give them the tools to fix the issue, so they can get back to their regularly scheduled program. And only block their path when it is 100% necessary. Otherwise you might have an angry user on your hands, and no one wants that. Back in the days when I would consume cable television, I was really into HGTV and Food Network. When we didn't really have YouTube or Pinterest to bask in the deliciousness of DIY, hacking, recipes and tutorials, these television stations were the place to see all the cool things going on. At least the food and home-reno related things. I specifically remember glueing my eyes to the screen for many episodes of a show called Food Jammers, which featured three young guys inventing fun gadgets from scrap metal and wood and old washing machine motors, all in the name of making/cooking/preserving food in fun ways. 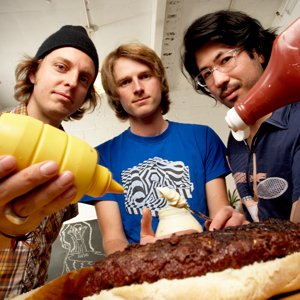 Micah, Chris and Nobu are the Food Jammers. 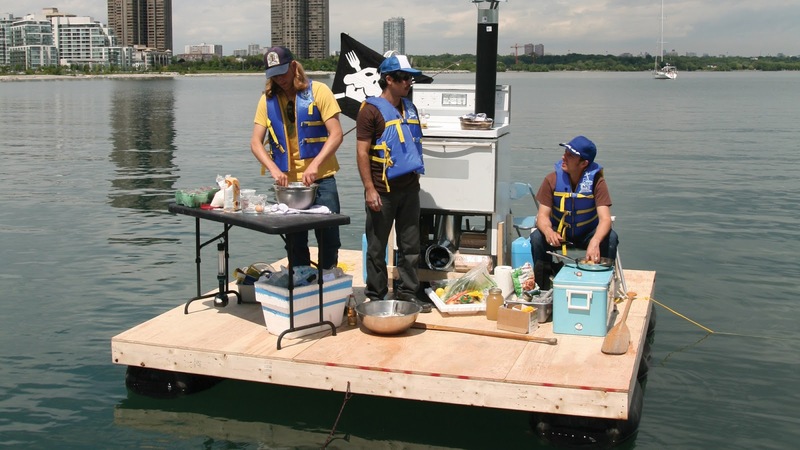 From dehydrating slices of a whole turkey to rehydrate and reassemble on a camping trip to making an entire meal complete with an oven on a raft in Lake Ontario, these guys will honestly try anything. 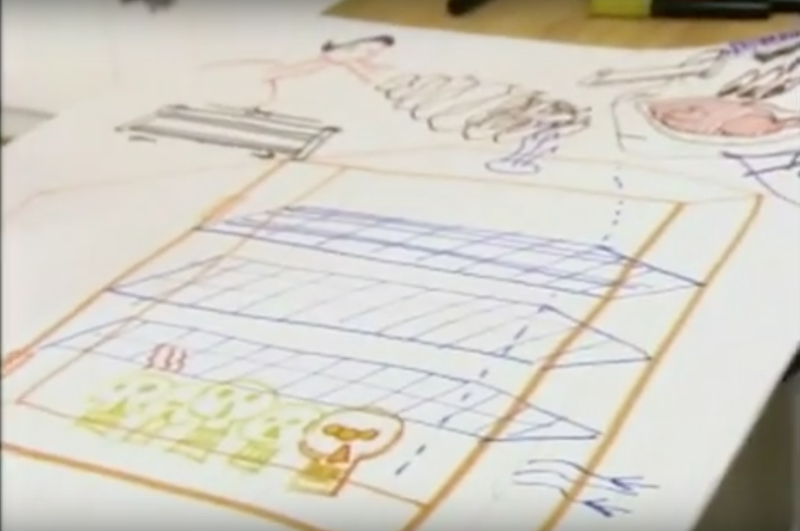 I love the way they think of ideas without any reservation for feasibility or labour, everything is just for the sake of seeing if it will work. A quick group sketch to design a dehydrator that can fit a whole turkey in it. 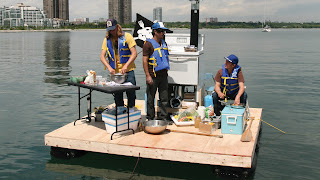 Making a meal in a working oven on a raft in Lake Ontario. Special thanks to a YouTuber with the username Evelynne for posting the first two seasons to share with everyone! This show might seem a little dated in film quality but the content is just as relevant now as it was then. DIY and maker culture are at a high in North America, and I hope they continue to grow in popularity.